Scooper - Technology News: Can the private sector help achieve universal health coverage? 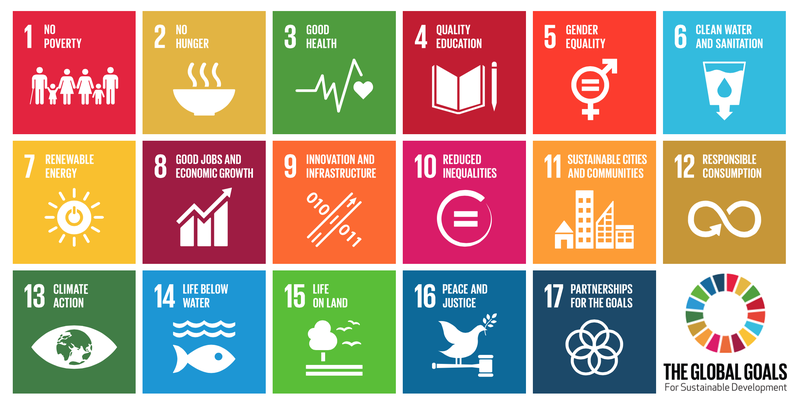 When the world committed to ending poverty, protecting the planet and ensuring prosperity for all with the 17 Sustainable Development goals , we knew no single entity would be able to achieve such lofty goals – it would take collaboration. “A successful sustainable development agenda requires partnerships between governments, the private sector and civil society,” Goal 17 stated. In few areas is that more obvious than in the fight to achieve universal health coverage, which falls under Goal 3 of Good Health and Wellbeing. If we are to get to universal health coverage in all countries, even those where privately-financed market delivery is predominant, this will depend on the ability of governments to harness their potential. In such contexts, it is critical to build the stewardship capacity of public agencies so that they can frame and implement rules that define the environment and the incentives that guide the behaviours of health system players. Rather than focusing on privatization, marketization or the scaling up of private provision, the idea would be to get private actors involved in the pursuit of universal health coverage and financial protection goals. In order to do that, we must first answer six questions. 1. What do we know about these private providers? Do we know where and how private providers operate in different countries and settings, what qualifications they possess, what they charge, the nature of regulatory arrangements, if any, in place and why people choose to use private services? Although the private sector often has a dominant role in the provision of healthcare, too often governments do not know enough about how these providers operate, and there is little, if any, regulation in place. In many cases, untrained providers represent the bulk of private provision. Additionally, there are problems with the technical quality of private service provision, especially at the informal end of care. As a first step, then, countries should institutionalize information collection and knowledge generation about the private sector in healthcare. 2. Are we aware of the potential within the outreach of private providers, and the opportunity that offers to deliver publicly financed essential services? Countries should examine if service delivery models incorporating tools such as franchising and social marketing and utilizing economies of scale, standardization, and/or market incentives can enable universal health coverage within their respective health systems. 3. How can we govern public hospitals better? In recent years, public ownership and not-for-profit service provision and autonomous governance arrangements have been promoted over publicly financed, owned and operated models. However, gains due to hospital autonomy should go beyond revenues for hospitals and incentives for staff and must also enhance quality and equity. New frameworks of participatory governance and appropriate channels of accountability and regulation need to be established. 4. can public-private partnerships for developing healthcare infrastructure meet the infrastructure needs of developing countries? Increases in foreign direct investments, business globalization, opening up of markets and private investments in infrastructure can help in environments of shrinking or diminished public budgets. When governments cannot afford capital expenditure for public hospitals, it appears logical to explore the potential of public-private partnerships. However, we need new institutional competencies in developing countries to tap this potential. 5. How can the private sector expand the base of insurance as a means of health financing? This can be particularly relevant for countries with large populations that are rapidly undergoing economic growth and where business development is rapidly increasing the number of people in the formally employed sector. Businesses can create incentives for private insurance companies that are capable of underwriting large populations into insurance pools. Countries need new capacities to tap the opportunity economic growth creates for universal health coverage. 6. Is it possible to make the emerging trade in health services work for all? The commercial presence of a foreign service provider could create a dual market structure, with high-quality services being provided to affluent consumers to the detriment of the healthcare needs of poorer people. Additionally, the movement of healthcare providers and brain drain – both internal and external – can lead to a loss of trained healthcare providers in the home country. Policy safeguards will be needed to prevent this type of situation.